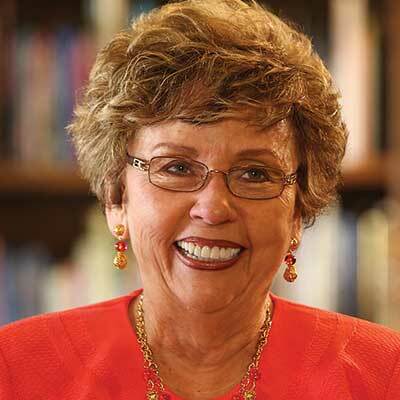 Serving as president and chief executive officer of Insight for Living Ministries, Cynthia Swindoll provides hands-on, positive encouragement among the ministry’s growing, competent staff. Her role is crucial. She reads every line of every manuscript; together these manuscripts form the basis for all the ministry’s broadcasts and podcasts. A model of inspirational leadership among all who serve at our local headquarters in Frisco, Texas, as well as at our growing number of locations around the world, Cynthia creatively and strategically oversees all the events that rally the public’s interest and involvement, all while promoting a standard of excellence that has become state-of-the-art among media ministries. Chuck and Cynthia live in Frisco, Texas. They have four adult children, ten grandchildren, and six great-grandchildren. 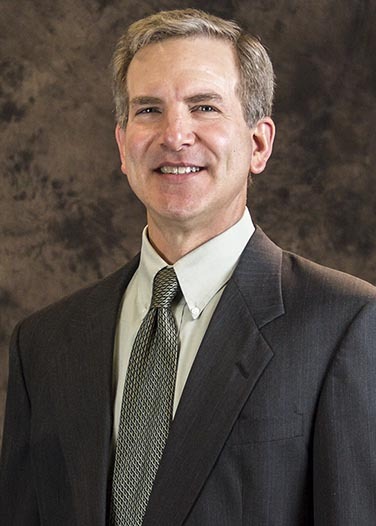 Bill Gemaehlich has 19 years of executive leadership and business operations experience with nonprofit organizations and an additional 10 years of experience in the for-profit corporate world. Bill began his career at the age of 15 when he started his own business, The Back Porch—a men’s clothing store and art gallery. At only 15, Bill became the youngest member of the Jacksonville, Oregon Chamber of Commerce. Bill holds a bachelor of science degree in Organizational Leadership from Biola University in La Mirada, California. 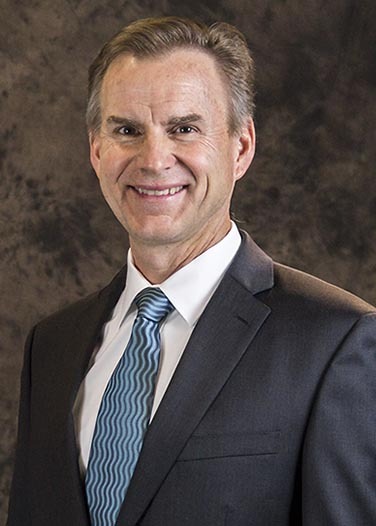 He has served at Insight for Living Ministries for 15 years and is responsible for leading and managing operations at the international headquarters in Plano, Texas. Additionally, Bill serves on the ministry’s boards of directors in Canada, the United Kingdom, Poland, Australia, Romania and Brazil. In addition to his work at Insight for Living Ministries, Bill pastors a country church located near Weston, Texas. Bill and his family are actively involved in short-term missions to Africa, Central and South America, Mexico, and Eastern Europe. Bill’s passion for ministry revolves around mentoring and helping people grow in the grace and knowledge of God through expositional study of the Bible, as well as encouraging them to love God with all their hearts and to love others as themselves. 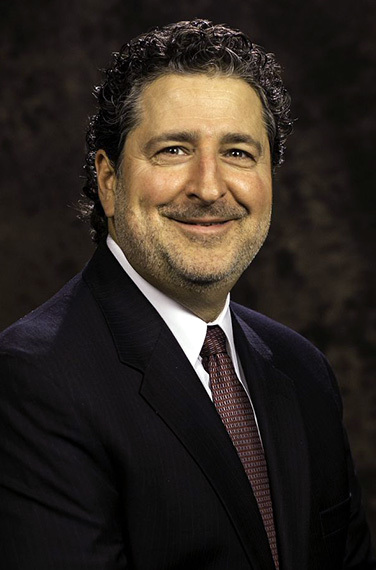 Bill serves on the boards of directors for other local charities and nonprofits. Bill is married to Nancy and lives in the country with their son and near their daughter, son-in-law, and grandson. Bill enjoys travel, restoring antique buildings, and riding horses. 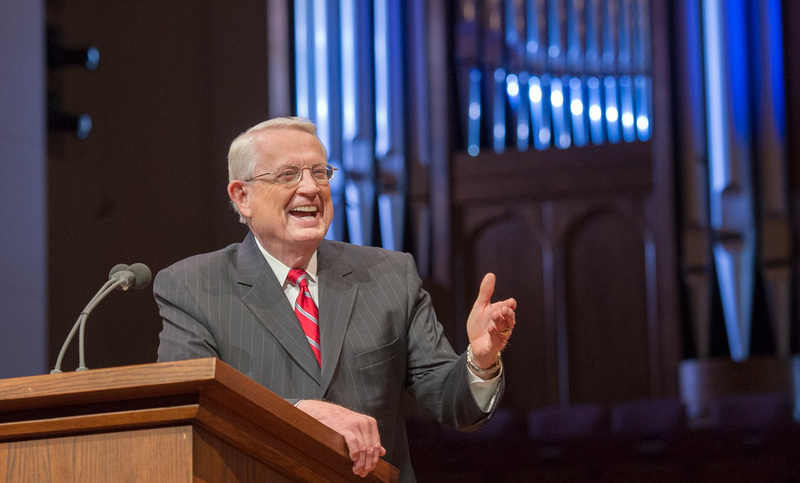 In more than 20 years of ministry, Tom has focused on sharing the gospel with those who have not yet heard. Whether in student ministry, church consultation, or missions work, Pastor Tom’s heart to mobilize the church has been evident. Tom holds a B.A. in Christian Ministry with an emphasis in missions from Southwest Baptist University and an M.A. in Cross-Cultural Ministry from Dallas Theological Seminary. Before joining the staff at Insight for Living Ministries, Tom spent two decades in ministry, most recently serving for many years as the pastor of Missions and Community Impact at Stonebriar Community Church in Frisco, Texas, where Chuck Swindoll is the senior pastor-teacher. In this role, Tom managed ministry relationships that covered 14 countries as well as mobilized and equipped church members to pursue the mission of God with their own lives. 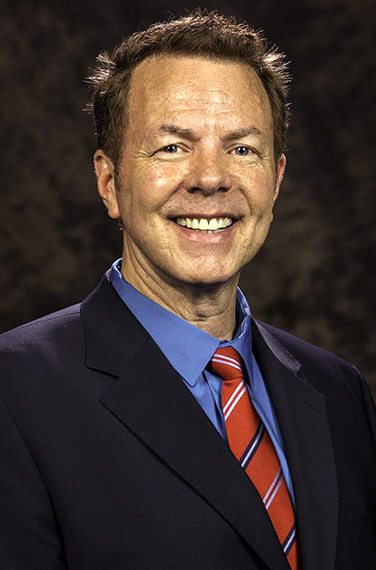 As executive vice president of International Ministries, Tom ministers to the global church as it proclaims the truths of Scripture in multiple languages and cultures. His heart is to serve the pastor/translators who work at the Insight for Living Ministries’ regional offices around the world, translating and contextualizing Insight for Living messages, Chuck’s books, and other ministry resources to make them accessible to all individuals in their heart languages. Currently, Insight for Living Ministries broadcasts in eight languages and is developing more as the Lord allows. The Bible teaches us that the world is ripe for the harvest. Tom’s passion aligns with Insight for Living Ministries’ hope to broadcast the simple yet life-changing message of the Bible in every language of the world. Tom and his International Ministries team also aim to equip local pastors to study Scripture and deliver the timeless, relevant, and applicable Word of God in their own communities. Tom previously served for five years on the Insight for Living Ministries Board of Directors and currently serves on the board of two mission agencies—WorldVenture and Russian Leadership Ministries. Tom and his wife, Katie, were married in 2001 and have walked side by side through the incredible journey of life together in Christ. They both love to travel, and Tom has travelled to and ministered in more than 30 countries. Tom and Katie make their home in Texas, where they are constantly entertained by their two young sons. Alex has more than 20 years of sales and sales management experience. Most recently, Alex managed his own international importing company. He enjoys using his God-given ability of building strong relationships in his role at IFLM. Alex was born in South Korea and adopted by an American family in 1981. He was raised in Bettendorf, Iowa, and graduated with a B.A. in marketing from the University of Northern Iowa. Alex and his wife Regina have been married since 1996. Alex and Regi serve on the leadership team of their adult fellowship class at Stonebriar Community Church (SCC) and have been Awana ministry partners for several years. They love to travel and, especially, to learn each country’s history. Their favorite vacation spot is Maui for rest and relaxation. They both enjoy exercise and staying in shape. They have three great kids who all love the Lord and are actively involved at SCC. Bryce Klabunde has served in a variety of pastoral roles at Insight for Living Ministries since 1991. Graduating in 1987 from Chuck Swindoll’s alma mater Dallas Theological Seminary, Bryce studied under many of Chuck’s mentors and has a close connection with Chuck’s theology and pastoral heart. Bryce began at Insight for Living Ministries as senior writer in the former Educational Ministries Department. 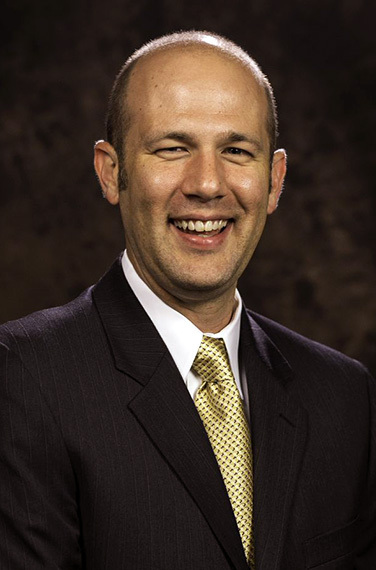 In 1998, Bryce moved into the Pastoral Ministries Department as a pastoral counselor and, two years later, was asked to lead the department as vice president. When Insight for Living Ministries relocated from California to Texas in 2001, Bryce and his wife, Jolene, and their four children made the move as well, joining Stonebriar Community Church, Chuck’s rapidly-growing congregation in Frisco. At Stonebriar, Bryce assisted in the SoulCare ministry as a trainer and implemented a shepherding and prayer ministry within his adult fellowship group. In 2003, Chuck and the leadership at Stonebriar ordained Bryce, confirming his call to the ministry. Bryce’s passion to help hurting people led him to pursue postgraduate training at Western Seminary, where he earned a doctor of ministry degree in Pastoral Care and Counseling in 2005. In 2008, Bryce took a position as soul care pastor at a church in San Diego, California. For nine years, he tended the flock’s needs for pastoral care, officiating at memorial services, teaching, organizing mission trips, and leading a pilgrimage to the Holy Land. All the while, Bryce continued as a consultant with Insight for Living Ministries, working on a database of Chuck’s sermons. Returning to Texas in 2017 as vice president of Searching the Scriptures studies, Bryce brings an extensive knowledge of Chuck’s teaching, a wealth of experience in pastoral ministry, and a mission to help Insight for Living listeners grow closer to their Savior. Bryce’s wife, Jolene, is an educator specializing in teaching children with dyslexia and other learning disabilities. They enjoy reading books together, traveling, and taking long walks with their dog, Happy. A solutions-driven leader with more than 10 years’ experience in management, Michael Bergeron invests his time and energy in Insight for Living Ministries’ most strategic asset—its people. With a love of people and a genuine desire to see God glorified through the ministry efforts of the staff, Michael seeks to attract, engage, and retain gifted and talented individuals who can help Insight for Living Ministries reach people with the transforming power of God’s Word. Michael holds a master’s degree in Theology with an emphasis in New Testament and Pastoral Ministries from Dallas Theological Seminary. He is also a graduate of the University of North Texas, where he earned a business degree in Human Resource Management. As vice president of Human Resources, Michael partners with the leadership team to execute the objectives and goals of Insight for Living Ministries as its outreach grows both domestically and internationally. Michael leads the effort to align talent programs, employee relations, and performance management to maximize the God-given potential of each member of the staff. To further fuel his passion to help people grow in the image of Jesus Christ, Michael dedicates himself to discipling other believers, leading Bible studies, and teaching, preaching, and ministering internationally. Michael and Amy have been married for more than a decade and have two children. They reside in Flower Mound, Texas. Bryant Kelley joined Insight for Living Ministries in November 2007 after managing his own art gallery in Plano, Texas, for 13 years. As one of IFLM’s vice presidents for Donor Ministries, Bryant cultivates and maintains friendships with ministry partners who come alongside Insight for Living Ministries to help make a positive impact around the world. Serving gallery clientele prepared Bryant for his current role by honing the relational skills he needs to develop personal relationships with major contributors and to warmly express appreciation on behalf of Insight for Living Ministries. He enjoys creating opportunities to increase donor awareness of the ministry’s vision and to show heartfelt gratitude for their vital part in helping accomplish the ministry’s mission. Bryant and his wife, Laura, have been married since 1993 and reside in Plano, Texas, with their dog, Sophie. They relish opportunities to visit their only grandchild, Nicky, who lives with their daughter and son-in-law in Knoxville, Tennessee. Bryant and Laura are charter members of Stonebriar Community Church in Frisco, Texas, where Bryant serves as an usher. Bryant spends his free time participating in men’s Bible study with Steve Farrar at Stonebriar; traveling home to Atlanta, Georgia, to help his mother and twin sister; fishing on the lake; and whale-watching in Hawaii. Bryant and Laura enjoy serving as hosts on Insight for Living Ministries’ cruises and tours, where they have the opportunity to get to know new ministry partners and catch up with long-time friends of Insight for Living Ministries. Alongside broadcasts and printed resources, Insight for Living Ministries values the personal touch of one-to-one relationships. 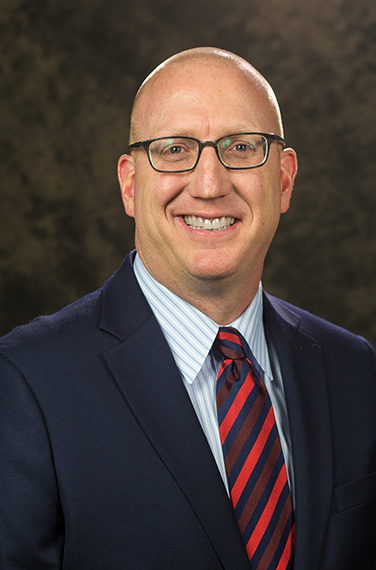 As vice president of Biblical Counseling, Brian Leicht leads his team in connecting with listeners and readers by phone or written communication. Together, he and his team provide spiritual guidance to those who contact the ministry, communicating God’s grace and mercy in difficult situations, offering listening ears, and responding to theological questions. Since 1986, Brian has taught the Bible, evangelized, and discipled believers in the local church and overseas. His route to a ministry calling was anything but direct, and he brings to Insight for Living Ministries a unique and varied experience. Brian holds a master of theology degree from Dallas Theological Seminary (DTS), where he focused on pastoral ministry, counseling, and Hebrew. He also earned a bachelor of science degree in the pre-medicine program at the University of Nebraska-Lincoln with majors in German and Music and a master of music degree in trumpet performance from the University of North Texas. Prior to seminary, he toured southern Germany with a missionary brass ensemble. An evangelistic mission trip to Hungary and Romania led him to enroll at DTS. Brian ministered to single adults and single parents for 13 years. Later, as a short-term missions pastor, he led teams to Russia, Romania, and Central America. He also began a reconciliation ministry to address marriage crisis in the church. 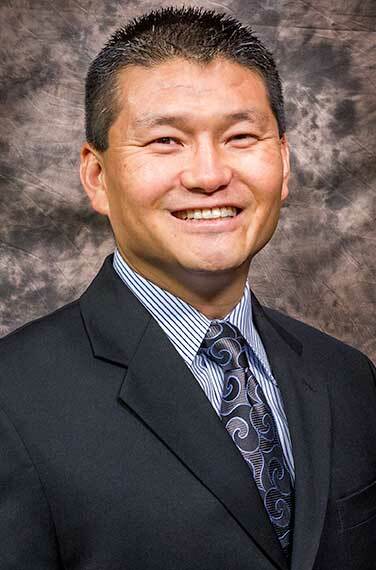 In 2008, Brian joined Insight for Living Ministries as vice president of International Ministries. In this role, Brian helped establish the Poland, Guatemala, and Russia ministry offices. These experiences gave him a deep appreciation for the ministry’s world vision, which he carries with him in his current role. Brian has found that, no matter what country we call home, our trials are often very similar. He believes the key to thriving through them is a firm foundation, rooted in the clarity of the gospel and the fullness of our identity in Christ. In each encounter, Brian helps individuals find hope in the truth that God is sovereign and working to bring about His eternal purposes. Brian and his wife, Bonnie, have three sons. Their lives are filled with homeschooling, piano recitals, baseball games, and college choir concerts. Brian served as president of a county homeschool association for three years. His family enjoys participating in worship ministry and the arts, taking part in community theater productions of My Fair Lady and Fiddler on the Roof. Brian also loves to perform on the trumpet, including playing trumpet solos and shofar on Insight for Living Ministries’ Israel tours.